New software update! Check out our new reading and fundraising features you've asked for! Need materials? We've got you covered. Have interest in our program but need materials to present our solution to your PTA/PTO board or school faculty? Take a look at some resources below that can help you promote a successful read-a-thon. 30 minute video highlighting the RFMS solution to schools. PPT presentation for your PTA/PTO or school board members. Quick overview to share with your PTA/PTO or school board members. A visual program instruction guide for administrators. A visual program instruction guide for parents and readers. List out your team invite codes to hand out to your supporters. A simple parent letter that you can customize and translate. Our 30 communication plan to get your read-a-thon launched.on time. What your supporters will share with donors to generate pledge donations. 11 x 17 posters to hang in the classroom to support your read-a-thon. 11 x 17 achievement badge certificates for your top performers! 11 x 17 promotional poster that you can customize for your read-a-thon. We've launched an in-app store! Check out our RFMS packs to generate team spirit! We believe excitement starts in the classroom! A successful reading and fundraising challenge starts in the classroom so why not drive that hallway water fountain chatter with your students by purchasing a RFMS pack today! Posters, stickers, bookmarks, and bracelets - supports 20 students. Posters, stickers, bookmarks, and bracelets - supports 400 students. So what are you waiting for? Let's start sharing the power of reading for your next school fundraiser! Visit our RFMS tookit for answers to your reading and fundraising questions. ​​​​Our latest software product update just launched! We’ve been working really hard to improve our reading and fundraising app with new features that you asked for! 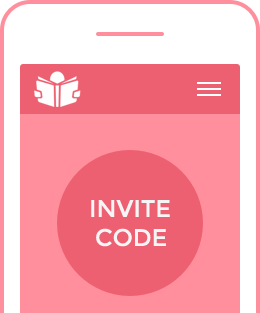 New customer onboarding through secure invite codes makes your read-a-thon fast and simple to set up! We've simplified our customer onboarding process so that teachers, parents, and readers can easily register and support your school fundraiser instantly across any mobile device through secure invite codes. Our new print invite option allows you an easy way to get your teachers and readers ready to go when your read-a-thon starts! Print out faculty letters and reader cards with everything your supporters need to know about joining your read-a-thon! 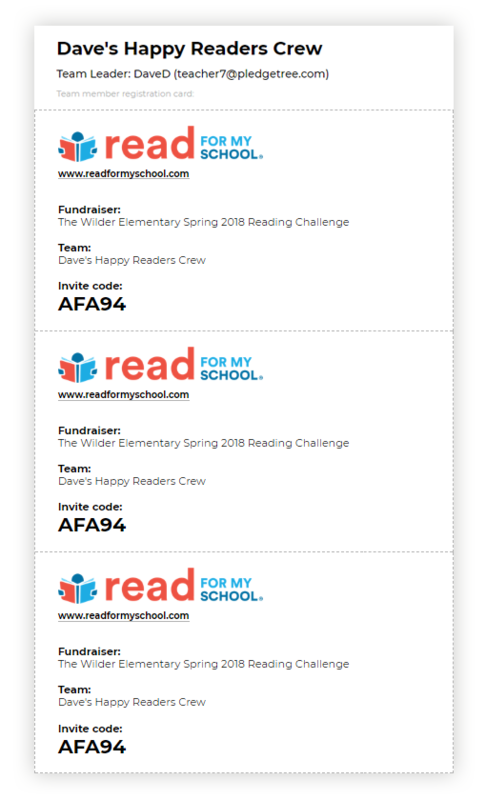 You can now print a custom faculty letter and reader invite cards so everyone can easily connect with your read-a-thon and instantly start reading and fundraising for your school fundraiser! Our #1 goal is to provide quality customer care for your supporters so that you can focus on creating the FUN in school fundraising! 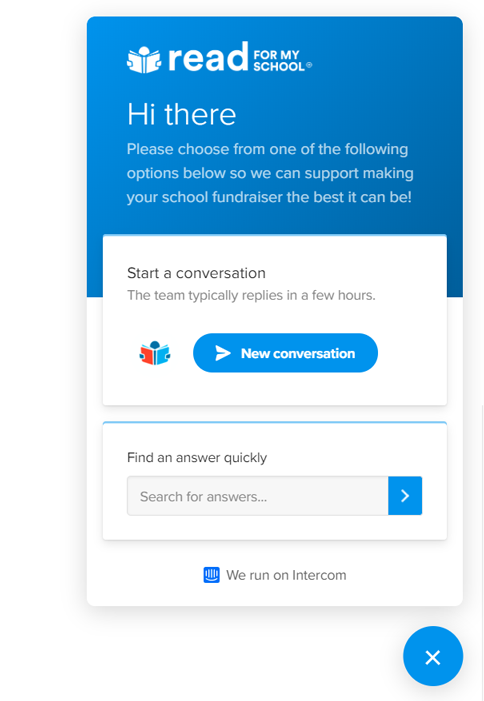 New direct in-app support features focused on answering your school fundraising needs. We've updated our DIY toolkit and in-app support with new content to make it easier to explore and promote a custom read-a-thon with one volunteer resource - YOU! We believe fundraising is all about storytelling which means your donation page needs to connect with the mobile fundraiser. New personal donation page that highlights reader achievements and your community fundraising message! 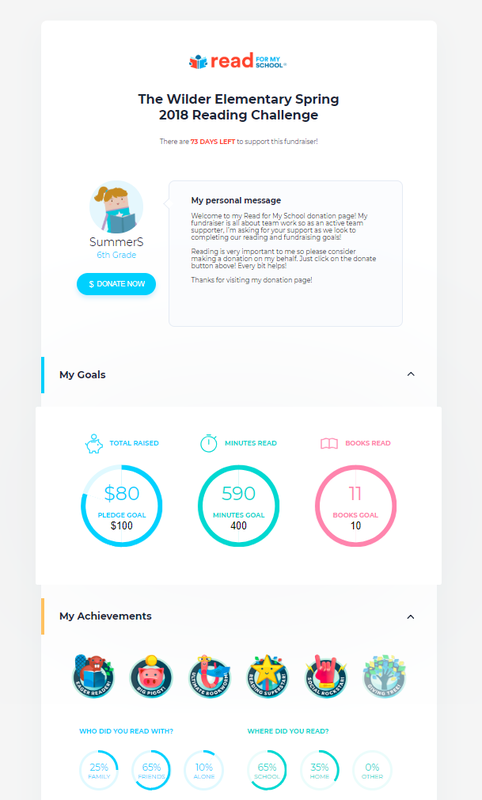 We've redesigned your personal donation page so that donors understand a child's literacy achievements participating in your school fundraiser as well as your community outreach message. 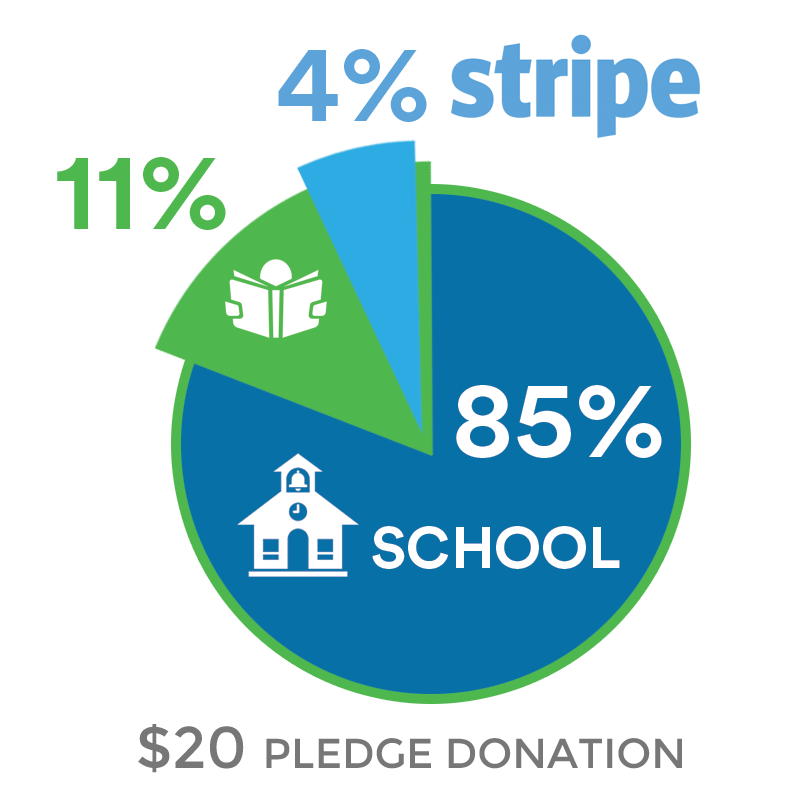 Our business model is simple and is built around putting more profits back into your school pockets! We provide a transparent business model that is focused on giving back to your community! 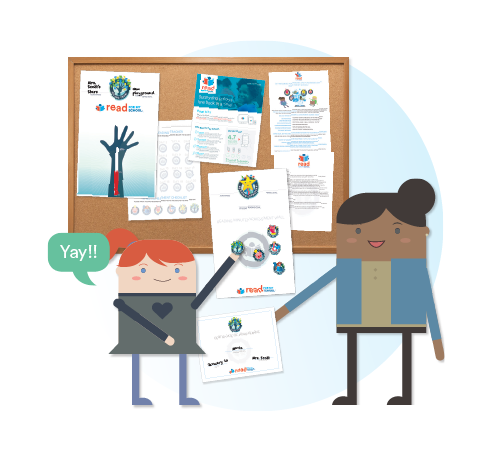 Our RFMS platform supports fundraisers in both the US (USD) and UK (GBP) allowing your community a simple way to raise money that is aligned to what is taught in the classroom - not products sold! So what are you waiting for? Let's start reading and fundraising TODAY! To share this video with others, please copy the link below.